This post has been long overdue since I have such awesomeness to share with you guys! I received some incredible sketches in the mail, one of which was a commission and the others are a set I was lucky enough to win from a fellow blogger! Let's start with the commission. If you read my Baltimore Comic Con Haul post from last month, you might remember my mentioning of a Sara Richard commission on my Thors #1 sketch cover. I received the finished product in the mail and I am in love! She sent me a picture so I kind of knew what was coming, but until you see the detail in person you don't really get the full effect. She used all sorts of different and cool highlights that I'm assuming had to be gel pens of some sort. There are random purple glittery areas and sparkly gold highlights in her hair. It really gives the whole thing some beautiful dimension. I tried to take some good macro pictures to capture it. You can see it in the purples and in the hair, but it really is prettier in person than this will pick up. I absolutely love it and will definitely be framing it! My other artwork is a Sherlock set that I won from the incredibly talented Kayly over at My Open Sketchbook. 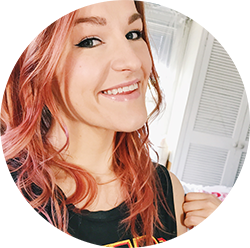 I stumbled upon her blog through BlogLovin and I've really been enjoying her posts! I think this was actually one of the first of her blogs that I came across and fell in love with these portraits! I entered to win them and actually did! These will also be framed for sure! As you can see, we have sketches of Watson, Sherlock and Moriarty. As Kayly explains in her post, she used a mix of Copic markers and Prismacolor colored pencils on these and I really love the effect. They look so natural! I'm so envious of people who can draw. These are all so beautiful! I keep meaning to actually work on drawing, but if something doesn't come to me quickly I tend to lose interest. Maybe that will be a New Years Resolution! 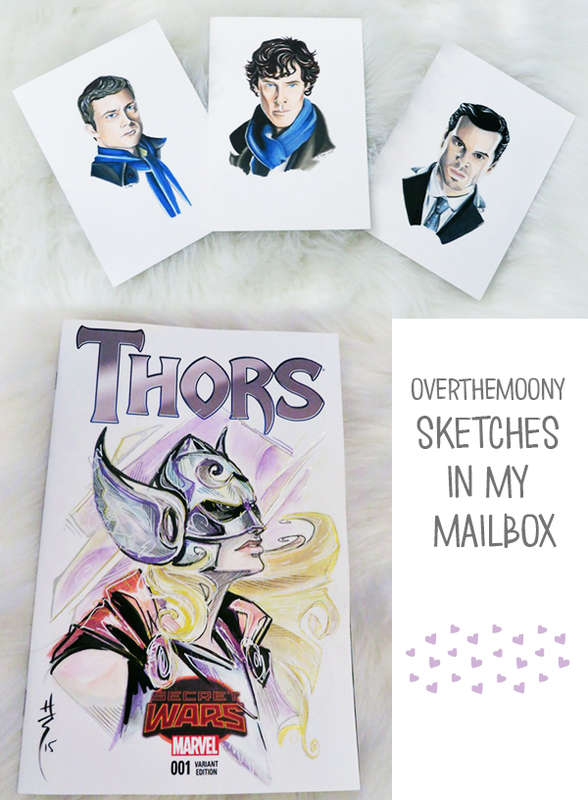 Do you like to collect sketches and nerdy artwork? Tell me about some of your favorites in the comments below!